November 26, 1907: 105th Birthday of Dr. Ruth Patrick. “Dr. 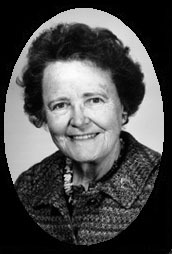 Ruth Myrtle Patrick (born November 26, 1907) is a botanist and limnologist specializing in diatoms and freshwater ecology, who developed ways to measure the health of freshwater ecosystems and established a number of research facilities. This entry was posted in This Day in Water History and tagged botanist, diatoms, Dr. Ruth Patrick, freshwater ecology, limnologist, Luna Leopold on November 25, 2012 by safedrinkingwaterdotcom.